Private Kenneth Noble Smith, Wireless Section, Royal Corps of Signals - Ossett’s WW2 German Collaborator or Victim of a Honey-Trap? 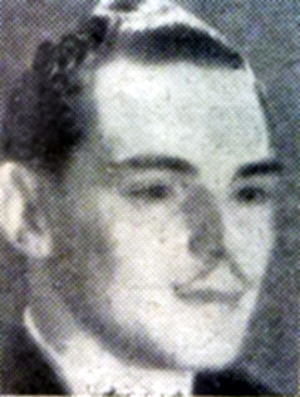 In August 1946, 29 year-old Kenneth Noble Smith from Ossett, an ex-German prisoner-of-war during WW2, was court-martialled at Gravesend, Kent for voluntarily aiding the Germans. He was accused of recording the BBC News radio transmissions at the German radio station Bureau-Concordia during the time he was a prisoner-of-war. The trial lasted two days and Smith pleaded ‘Not Guilty’. He had been under close arrest since March 1946, instead of being demobbed in January 1946 like the rest of his peer group. At his court martial, Smith wore five medal ribbons and two good conduct stripes. He told the court that he had been educated at Ossett Grammar School, and that his parents, Mr. and Mrs. George Harry Smith were well respected in the town. He enlisted voluntarily in the Royal Corps of Signals (Wireless Section) in February 1940, and had been sent to the Middle East in December 1940, before being captured in the retreat from Tobruk in June 1942. He was imprisoned first at Benghazi, then in Italy, before finally being moved to Germany where he was liberated by American troops in April 1945. Kenneth Noble Smith was born in Ossett on the 14th July 1917, the son of mill-hand George Harry Smith and his second wife, Amy Noble, who had married in Wakefield in 1916. Kenneth’s father George had been married previously. His first wife, Annie Mary (nee Cawthorne) died in early 1915, aged 32 years. The couple appear not to have had children. George H. Smith and Annie Mary married at South Ossett Christ Church on the 15th June 1907. He was then living at 23, George Street and Annie was from Manor Road, Ossett. George was employed as a mill hand. By 1911, they had no children and were living at 16, Albert Street, Ossett. George H. was now working as a card cleaner for a shoddy manufacturer. By 1939, George H. Smith (born 28th April 1880) and his wife Amy (born 22nd November 1885) were living at ‘Sunroyd’, Broomcroft, South Street, Ossett with their only son Kenneth N. Smith. George H. Smith was now a foreman rag grinder at J. M. Briggs Sons, Runtlings Mills and Kenneth was working as a baker for Mr. A. Boulby, Baker and Confectioner, Park Street, Horbury. Back at home in Ossett, Ken Smith had been a wireless enthusiast and because of his technical skills, he served with the Royal Corps of Signals. 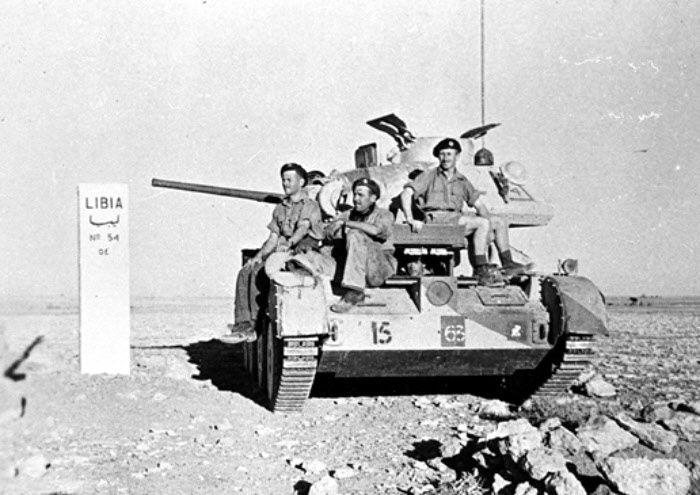 Smith was sent to Tobruk, Libya in North Africa in 1941 as part of a highly specialised, mobile wireless intercept unit (Y-Section), operating from armoured cars, and who were attached to Montgomery’s 7th Armoured Division (Desert Rats). Their role was to decode secret German communications right on the front line by getting as close as they could to the enemy positions. Once decoded, these messages gave the British a huge advantage because they were then aware of German battle plans and the difficulties they were having with supplies of food and fuel during the North African campaign. It was whilst Smith and his colleagues in Y-Section were intercepting German radio messages that they were captured by members of the German 21st Panzer Division. It seems the Germans treated their British captives well and they were given the classic line by a young German soldier "For you gentlemen, the war is over." Ken Smith said that the Germans ensured that he kept all his personal possessions, but that they were later sent to an Italian prisoner-of-war camp where they were treated less well. Just prior to the capture by the Germans, Smith’s unit had come across an abandoned British Army NAAFI wagon. Some of his colleagues got to the cigarettes and chocolate first, but the cash box was left, which Ken Smith promptly buried in the desert. Sadly, he was never able to get back and recover the loot. Above: British Armoured Car in Libya, 1941. Whilst a prisoner-of-war in Germany, Ken Smith became friendly with a German girl named Lotte, and he sent and received love letters from her. He was given transcripts of BBC News items from a British sergeant, who used to hear them outside, then secrete the messages in his shoes, and bring them into the camp. They used to read out this news to the other prisoners every night. Eventually, the Gestapo found the notes Smith had been sending to Lotte and also the BBC News messages. He was arrested and taken before the German Authorities, who said that he was liable to be shot and threatened that he would get at least 10 years in a Concentration Camp. Under this threat, Smith agreed to go and work for the Nazis at the Bureau Concordia in Berlin. In mitigation, he said at his court martial "I would never have dreamed of doing what I did if this had not been hanging over my head." Germany Calling . . . Germany Calling . . . Germany Calling . . .
Bureau Concordia was a part of Goebbels’ Ministry of Propaganda and was staffed by a group of reprobate expats who were initially perhaps PoWs from WW1, or people who were living in Germany when Hitler came to power. For some reason, these people were dissatisfied with the state of Britain and wanted to project that to their compatriots back at home. A few of them actively supported the Nazi regime. A lot of them were bored, disaffected and were paid quite considerably to deliver questionable propaganda broadcasts, mostly broadcast from Hamburg, but a few from Berlin. 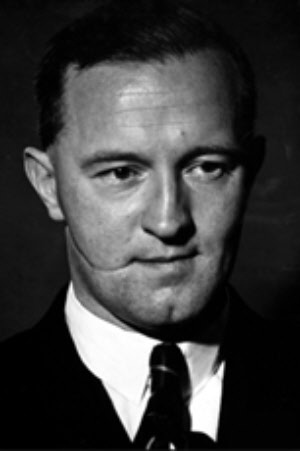 William Joyce or "Lord Haw Haw" (pictured left) was largely in charge of these people. Joseph Goebbels called him "the best horse in my stable" and was very proud of him. Smith said at his trial that one night at Bureau Concordia during an air raid, he caused a fire by wrapping curtains around a hot stove, and damage was caused which the Germans estimated to amount to about 20,000 Marks. Captain Rix (cross-examining) asked Smith if he had written to Lotte asking her to come to Berlin to live with him. Smith replied "Yes, frivolously. Actually, it was impossible for her to travel." Captain E. A. Jones, defending declared that Smith did the work at Bureau Concordia under duress, and was no worse than thousands of other British prisoners who were forced to repair bomb damage and do other tasks in Germany. The Judge-Advocate (Lieut.-Colonel C. M. Cahn) said that the court would have to consider whether Smith undertook the work at Bureau Concordia to obtain extra freedom and whether the correct recording of news broadcasts would be of value to the Germans or not. They thought it worth paying Smith 250 Marks a month for his efforts, although perhaps they had intended to get something else out of him later. In the event, Ken Smith was eventually released from custody and came back to live in Ossett. He married Dorothy Matthews in the summer of 1949 (registered at Lower Agbrigg, which at that time included Ossett). Perhaps because of the reports in the local press of his alleged collusion with the Nazis during WW2, Ken Smith moved from Ossett to live in Newcastle upon Tyne. 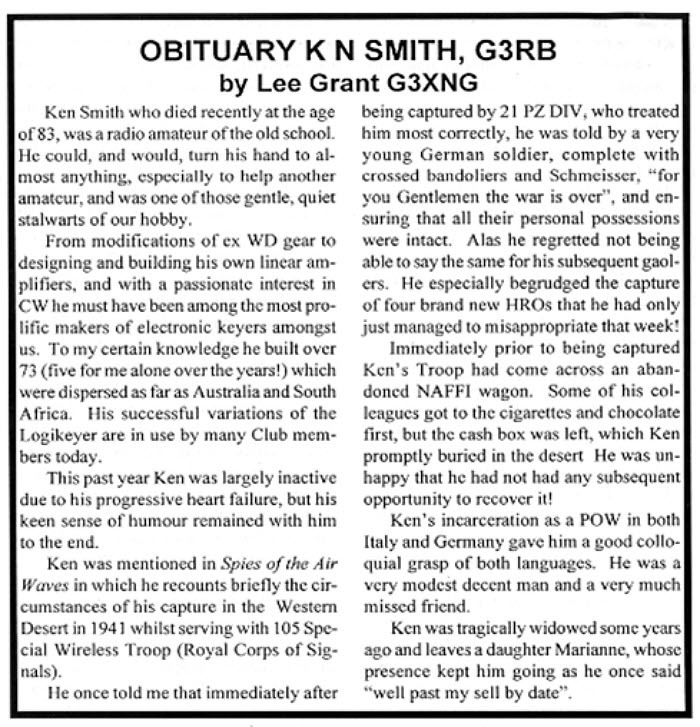 Ken Smith was a licensed radio amateur (callsign G3RB), which was granted pre-WW2. When I was a schoolboy living in Ossett with my parents, I also passed the exams for my amateur radio licence (callsign G3VMW) and I remember talking regularly with Ken over the years, but always using high-speed morse code. He talked fondly about his time living in Ossett, but never mentioned his WW2 service. Kenneth Noble Smith died, aged 82 years, in the Tyneside area in summer 1999. The following obituary for Ken was published in the winter 1999 edition of FOCUS, the quarterly magazine of the First-Class Operators Club, of which we were both members. 1. "Ossett Observer", August 17th 1946.